Bexhill Heritage, the town’s new heritage and conservation society which looks to the past to guide its vision for the future has found a surprising link to the past amongst its recent recruits. David Beales was appointed Assistant District Planning Officer in 1974, when Rother District Council was first set up and left a couple of years later when he moved on. He has returned to his former area and, it seems, his former interest. 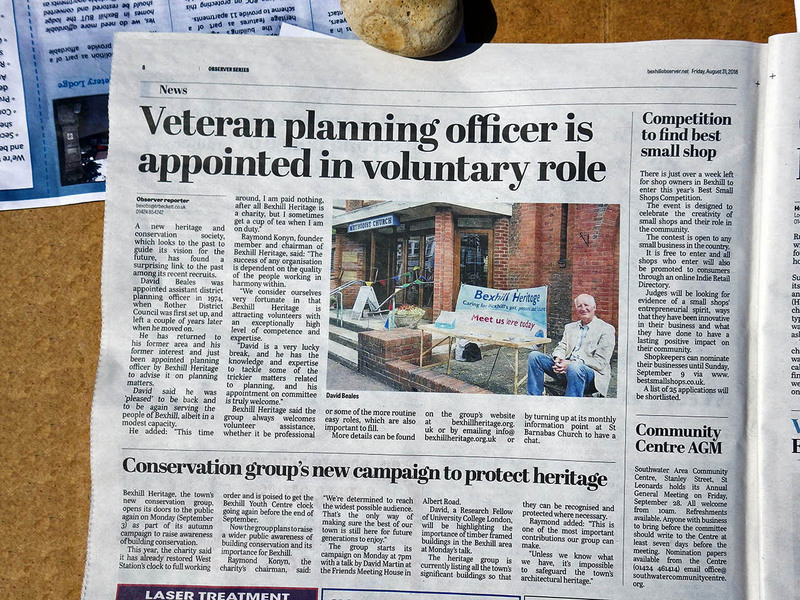 He has just been appointed Planning Officer by Bexhill Heritage to advise it on planning matters 44 years later. He says he is pleased to be back and to be again serving the people of Bexhill albeit in a modest capacity. “This time round, I am paid nothing, after all Bexhill Heritage is a charity, but I sometimes get a cup of tea when I am on duty”. 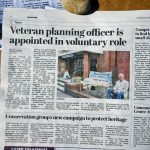 Published on Friday 31st August 2018 by the Bexhill Observer, page 8. 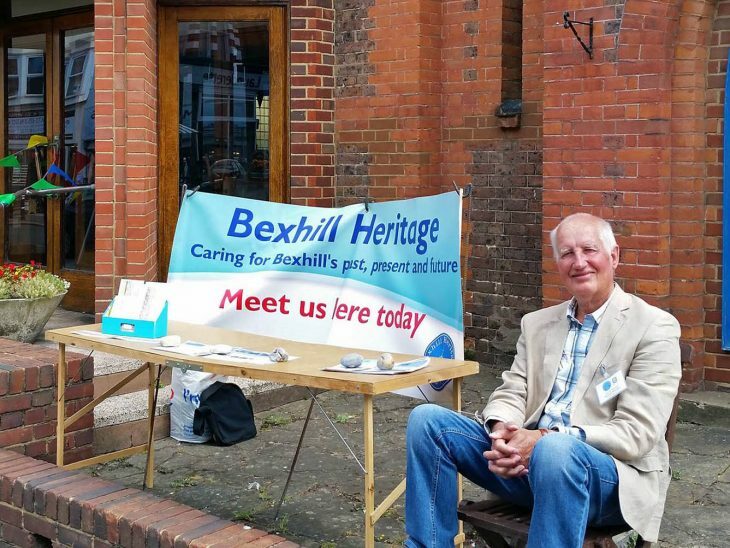 Bexhill Heritage, Bexhill’s new conservation group, opens its doors to the public again on 3rd September as part of its autumn campaign to raise awareness of building conservation. This year, the local charity has already restored West Station’s clock to full working order and is poised to get the Bexhill Youth Centre clock going again before the end of September. Now the group plan to raise a wider public awareness of building conservation and its importance for Bexhill. “We’re determined to reach the widest possible audience” said Raymond Konyn the charity’s chairman, “that’s the only way of make sure the best of our town is still here for future generations to enjoy”. The group start their campaign on Monday 3rd September, 7pm with a talk by David Martin at the Friends Meeting House in Albert Road. David, a Research Fellow of University College London, will be highlighting the importance of timber framed buildings in the Bexhill area.